When an external system that is specialized for service parts planning tells SAP what to do, SAP can simply execute the recommendations made by the external system. However, the question arises what SAP ECC’s capabilities are with supersession. Finally we save this and we will have just created an Interchangeable Group. Next I need to assign a location. What this means is we can create supersession relationships that just apply for particular locations but not for others. Where Should Supersession be Performed? Planning supersession can be performed in MCA, while execution supersession can be performed in SAP ECC (for sustainment, production supersession is a different matter). Planning supersession can be performed in MCA with no sustainment supersession data maintained in SAP ECC. 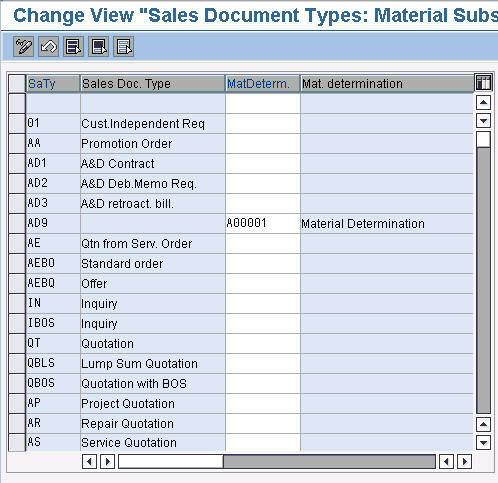 However inventory planners can still use MCA’s user interface to determine the superseeded part, and then execute the supersession in SAP. Is having the execution supersession available in SAP (allowing automated supersession within SAP ECC) worth the additional effort in configuring MD and in the continual maintenance of this supersession list in SAP? Is the MD functionality capable of providing similar functionality as comes with MCA? That is, is the substution functionality, which is fairly basic, and which would provide automated supersession worth maintaining instead of looking at the MCA user interface and reading supersession relationships from MCA? The document below from SAP is light on details.